and you can bask in the satisfaction that you made it yourself! Today, while avoiding homework, I decided to break into our 10lb bag of carrots (which was too good of a deal to pass up at the grocery store) and make some cream of carrot soup. 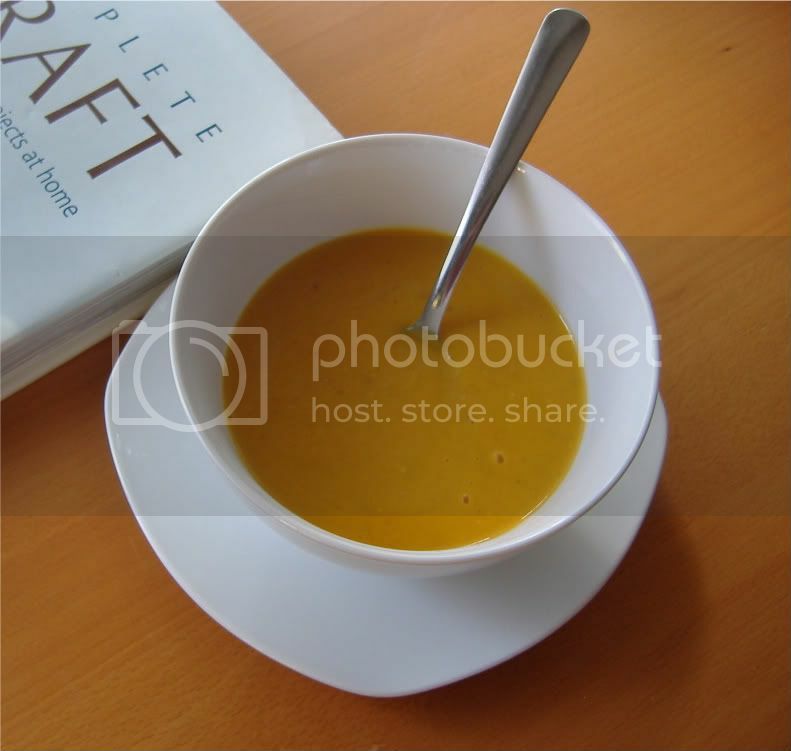 I did a little research on different recipes and finally found one I liked at Kitchen Parade called "Laura's Carrot Soup". This recipe was really great, I made up a batch (FYI 1lb of carrots equals about 3 1/2 cups peeled and chopped). Then pureed in the blender. 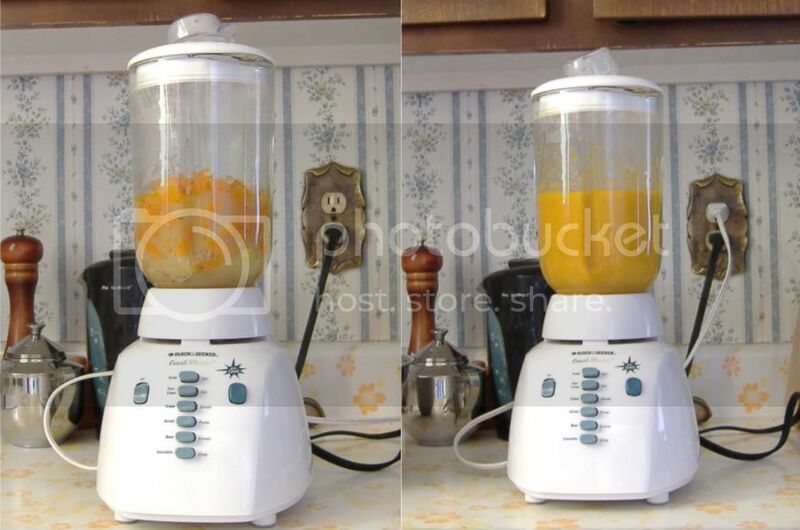 Be careful at this stage, you'll want your soup to be cooled before pureeing in the blender or else the steam will build up pressure and the top could come off while blending. 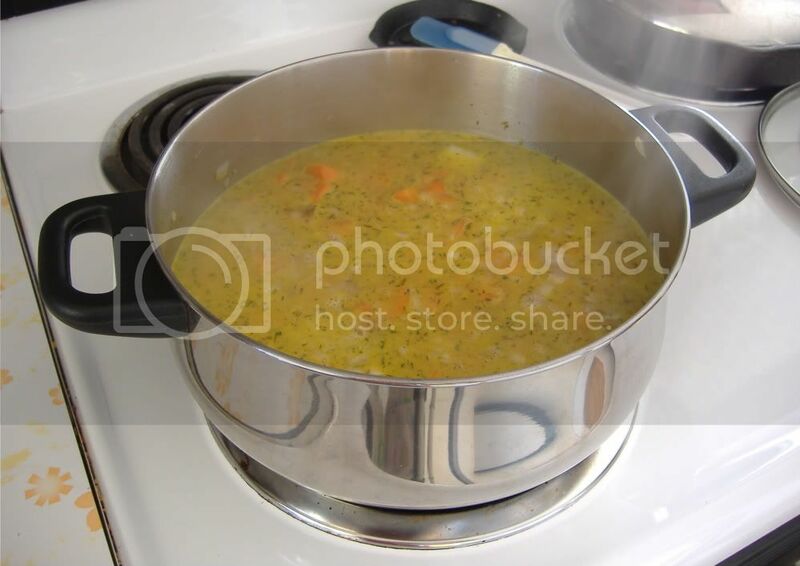 Hot soup sprays all over the kitchen and the anyone in range, I know this from experience. 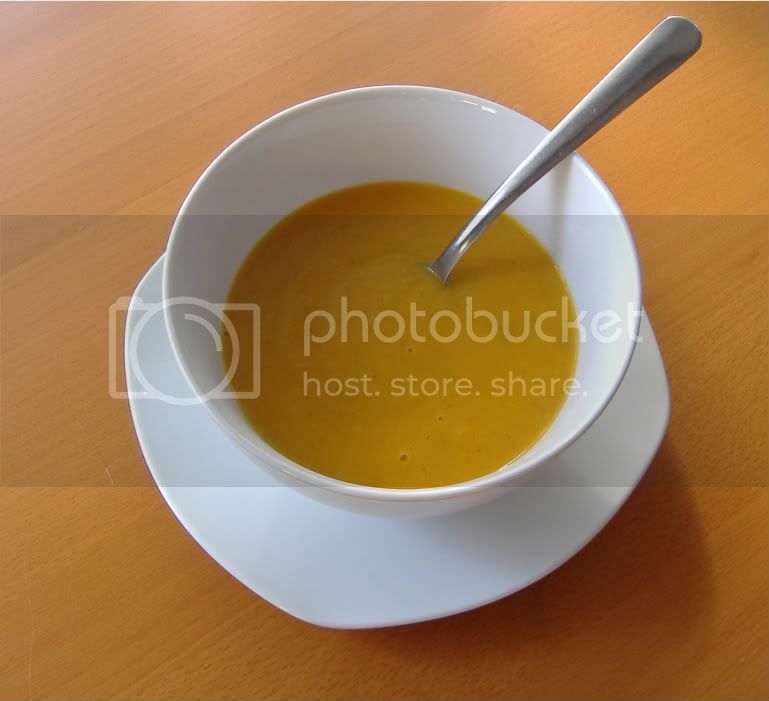 You could also use an immersion blender instead of risking soup spray. I then poured 2 single servings into containers, and, after cooling completely froze them. Remember to leave room in the containers for the liquid to expand and don't add the milk called for in the recipe for these portions if you're going to freeze the soup. Instead, add some milk when you're reheating. To the remaining soup I added about a cup or so of 2% milk (instead of skim) because we like it creamy then heated and served! I think this soup may become one of my go-to's during a stressful week. What's YOUR favourite to make/eat?